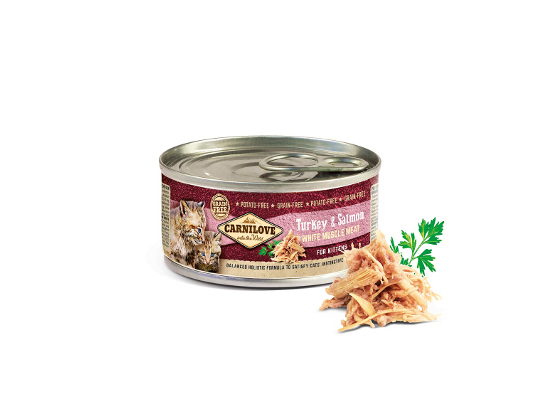 With kittens, it is of critical importance to choose food rich in quality proteins, fats, vitamins, and essential nutrients for healthy growth and optimal bodily development. 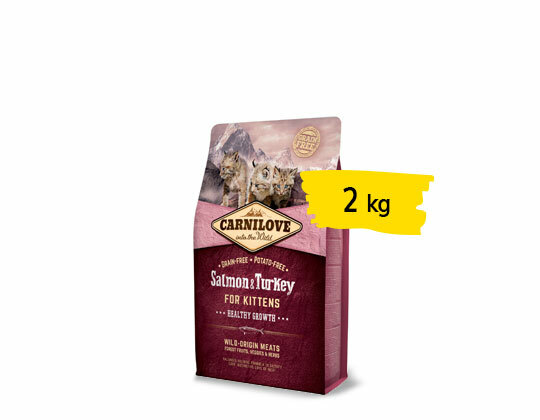 Carnilove Salmon & Turkey for Kittens has been formulated with respect for the natural composition of the feline diet. 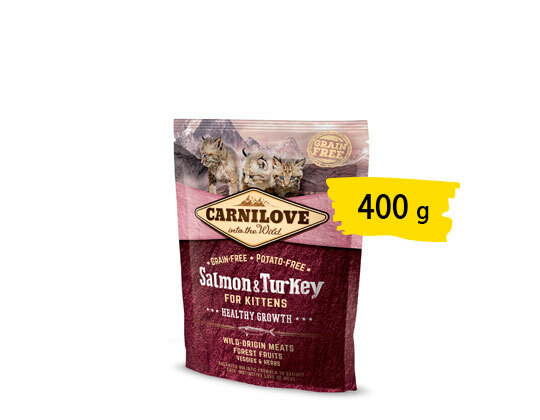 The recipe is based on salmon and turkey, sources of essential amino acids, which in combination with forests fruits, vegetables, and herbs provide essential nutrients, vitamins, minerals, and antioxidants every day for proper development of the skeleton, muscles, and natural immunity.